For the Moto Z Play, being a mid-range phone that we wouldn’t typically review, we took a different approach to sharing our final thoughts on it. Hey, look, a video review from Droid Life! This should be interesting. If you have watched the DL Show in recent weeks or follow us on Twitter, you probably know that I’ve actually become quite a big fan of this phone. It might be the legitimate 2-day battery life that has me brainwashed. Seriously, I have never in all my years reviewing phones, seen one that can last this long on a single charge. You get battery estimates from companies as they announce new phones, yet none ever live up to those numbers. This phone does and I am incredibly impressed. But I also still find Moto’s approach to software refreshing, as well as the performance they seem to get right, even with lesser processors than flagships. The Moto Z Play really embodies what can be good in a $400 phone without any major sacrifices. Of course, the camera isn’t going to win any awards, the design might turn some away, and the Verizon exclusivity is a downer. It’s not a perfect phone. At $400, though, I think it certainly should be proudly in the conversation of mid-tier phones. Oh and Moto Mods. Yeah it does those too, if that’s your thing. 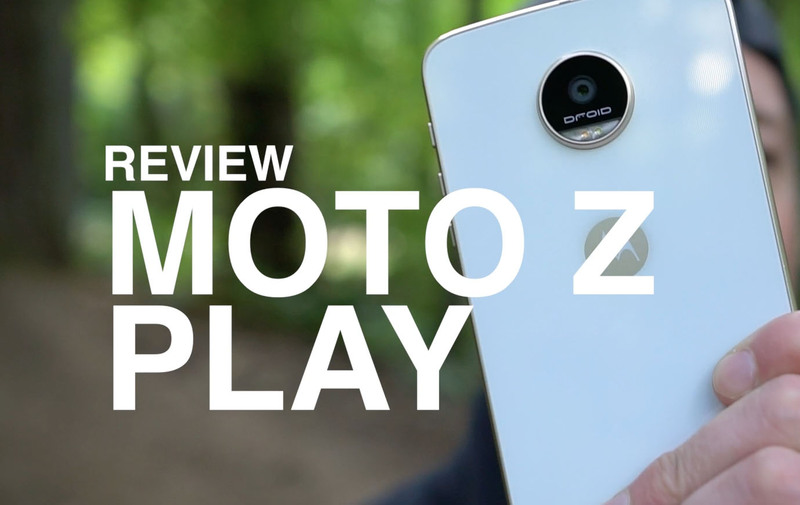 This is our Moto Z Play review.